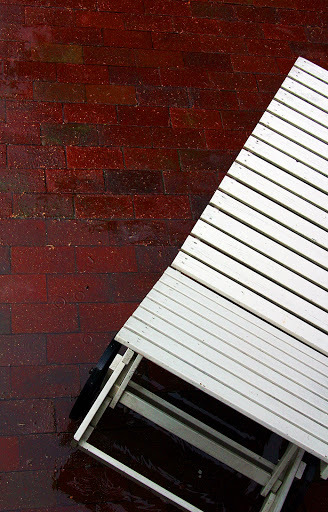 White wooden deckchair on dark red brick tiles in rain shot from above. Love the tilt on this photo. Really works here.